An acronym for Network Attached Storage, a computer data storage device that is generally accessed over an Ethernet connection using a mobile device or PC. 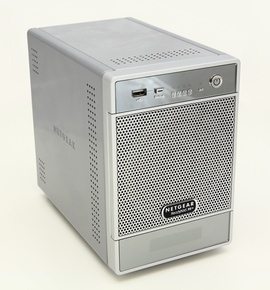 In the home, NAS devices are often used for multimedia files and automated backup. They can provide centralized storage for security systems, smart TVs, etc. The average NAS costs $499 and is the best option for IP video camera surveillance.